The high-performance PENTAX XF 8.5 eyepiece is ideal for outdoor viewing and bird watching. As a standard unifocal eyepiece it offers a 60 degree apparent field of view, long eye relief, and bright, high-contrast images. The PENTAX XF12 is ideal for outdoor viewing and bird watching. 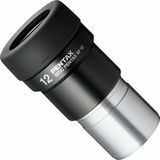 This high-performance unifocal eyepiece offers a focal length of 12mm, provides bright, high-contrast images, and features an extendible eyepiece ring with four click-stop positions. 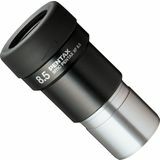 The PENTAX XF Zoom eyepiece provides magnification of 20 to 60 times with the PENTAX 65mm spotting scopes, an apparent field of view of 42 to 60 degrees, and an eye relief of 11mm to 15mm. 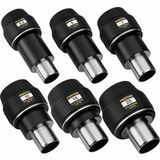 The smc Zoom eyepiece features a magnification range of 20-60X, an apparent field of view of 38 to 60 degrees, and an eye relief of 20mm. 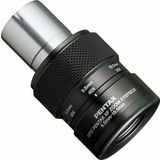 Like all PENTAX eyepieces, it is renowned for its outstanding image reproduction. With unsurpassed optical clarity and wide field, Pentax smc XW eyepieces offer a 70-degree field of view for easier viewing. 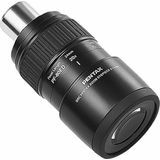 All Pentax eyepieces are constructed with a high-refraction, low-dispersion lanthanum glass.